Agra can’t be termed as really a place with many captivating architectures, at least I wouldn’t say so! So, there’s culture, tradition, clothes, and the most important, food of Agra, to talk about. Apart from discussing the mainstream eateries, let’s hit the lanes where we find the famous street food in Agra. The local delicacies prepared and served on the stalls in those clogged lanes taste the best. Therefore, everyone who has a taste for such road-side delicacies must check out the variety of street food in Agra. Food in Agra is epitomized by the variety of Mughlai delicacies but there are tasty chaats, spicy dalmoth, cheela, tikki, kachori, and delicious petha all over the streets of Agra awaiting you. The succulent meat, with Mughlai influence, is evident in any shop selling non-vegetarian dishes here. 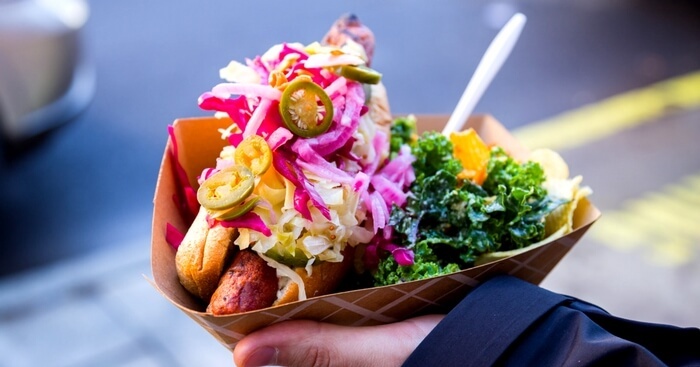 And you’ll get ample of opportunities to savor the best in the town. Petha is the most prominent name that epitomizes Agra. Since the childhood days, Agra’s petha has remained the mouthwatering fantasy for me, and a lot of kids just like me! So, if you aren’t sure about the most authentic shop selling pethas head to Panchi Petha at Hari Parwat crossing Kesari. 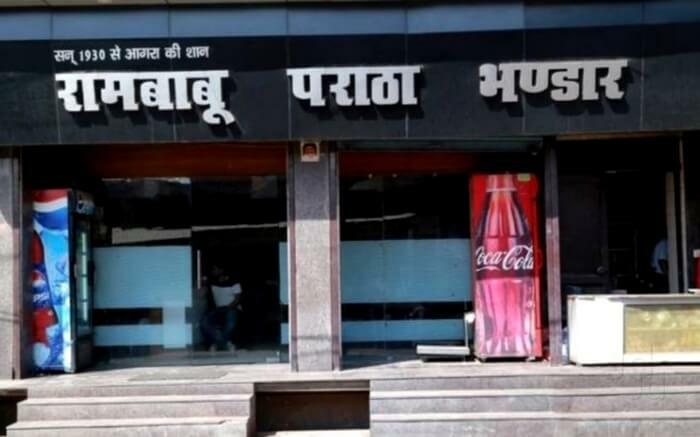 It’s really tough finding the genuine petha shop in Agra where other petha shop claims themselves to be the real Panchi Petha. 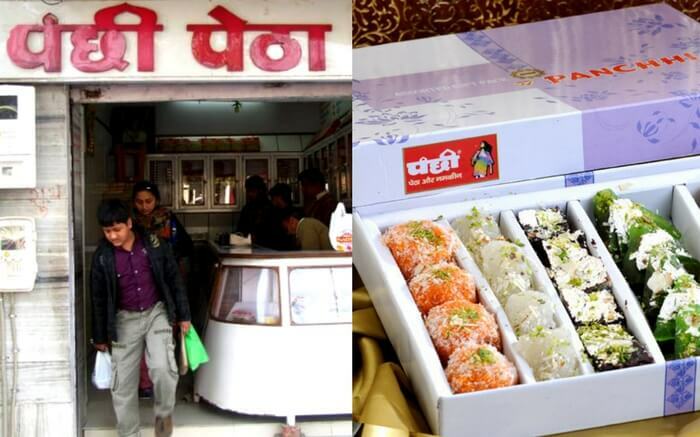 Other popular shops selling delicious pethas in Agra are Bhimsain Baidyanath and Pracheen Petha. If you are looking for more options other than pethas then head to Bikanervala, Bhagat Halwai, Deviram, and Gopaldas. 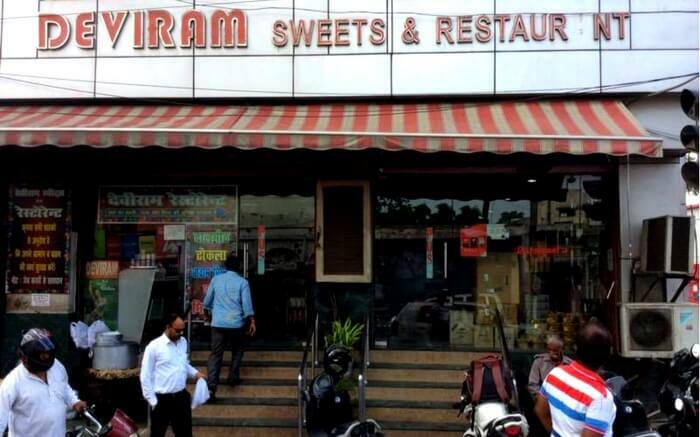 Brijwasi is another popular sweet selling shop in Agra. 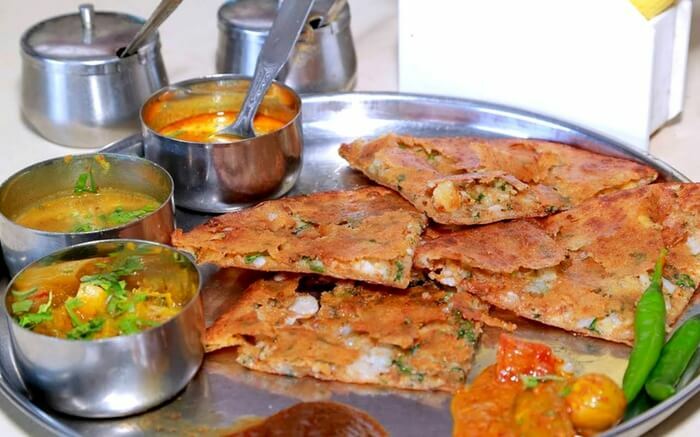 Ram Babu Parantha Bhandar is where people go to savor the famous street food in Agra. The local food joint in Gopal Bazar gained popularity after being discovered by Jiggs Kalra in the early 1990s. They have another branch, which is run by Ram Babu’s brother Harishankar Khandelwal at National Highway No. 1, next to Sikandra. 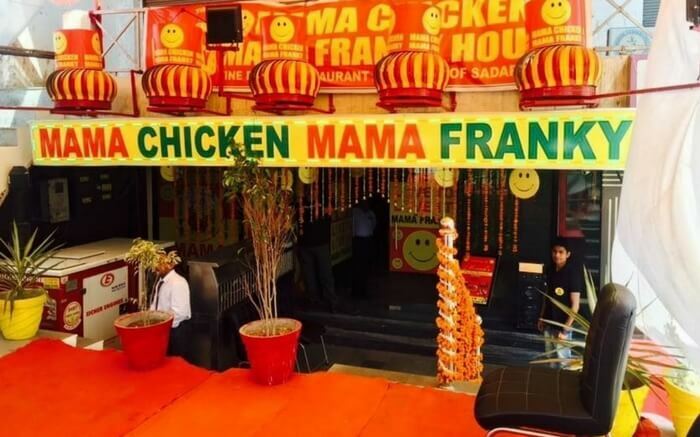 Mama Chicken Mama Franky, run by the father-son duo of Himanshu and Rahul Sachdeva at Sadar Bazar in the Cantonment, is another hot favorite place for the locals. This place is the answer to all your cravings for lip-smacking food in the streets of Agra. Known for its classical chicken kebab wraps, mutton, and chicken seekh kebabs, this is where you head to after dark in Agra. Suggested Read: Taj Mahal vs Golden Temple: Which One Would You Choose? Sadar Bazaar is the place crowded by local street food stalls and vendors as the light begins to fade. 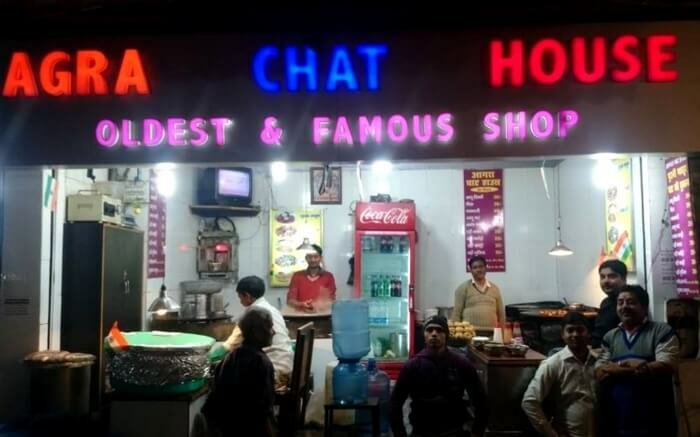 Being more specific, if you want to take a tour of the best of the famous street food in Agra, head to Chaat Gali. This place is thronged with plenty of street food shops. And there in the crammed bylanes of Sadar Bazaar are the famous Agra Chat House and Shri Agrawal Chat House recognized for gol-gappas and chats. The thick and creamy yogurt here in the stalls of the chat gali is worth a mention. The chutney and spicy waters at Agrawal’s are also worth a mention. Start your morning with the legendary bedai – one of the street food in Agra, and along with the memorable aloo-subzi here. Sum it up with crispy jalebis and you have your day made. There is Agra special food in the narrow street of the city, and it very well tends to different types of taste buds. Double Pathak for Mangore, Bellagunj for Bhalla and Pani-puri. And then there are shops in Kinari Bazaar, Pratap Pura, and Raja Mandi Bazar selling samosas, kachoris, dalmoth and other lip-smacking munchies. Make sure that you take this amazing street food trail when you are in Agra next time! The famous street food in Agra won’t disappoint you for sure!